While of course, this is a rather unusual use-case for our platform, as serious Game of Thrones fans ourselves, we thought it could be a fun experiment. Additionally, because Logz.io can analyze and visualize any data set with an API, Twitter was the perfect candidate for this analysis as it would enable us to gather the data from real-time conversations surrounding GoT. 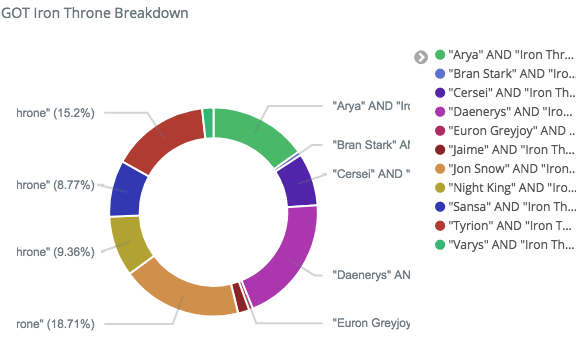 To start our experiment, we hooked up Twitter’s API to our log analysis platform and followed the hashtags of the most popular characters while also correlating them with the term “iron throne” to see what insights we could find from other fans. 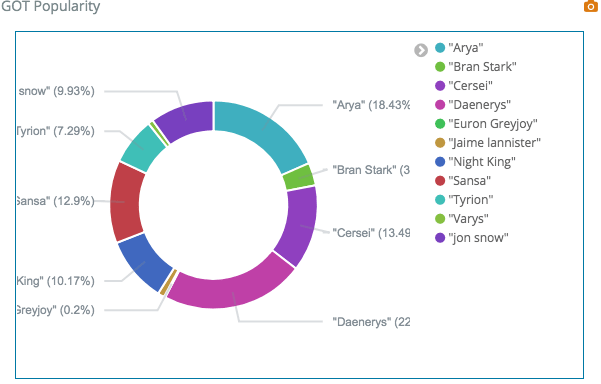 According to the data, Daenerys Targaryen is the most popular character getting 21% of all Twitter mentions. This is closely followed by Arya Stark with 17.5% of the vote and Cersei who was third place at 12%. As our data found, popularity and destiny to take the iron throne may have a correlation. According to our data, the character most likely to rise to the iron throne is Daenerys Targaryen, winning 20% of the vote for the iron throne. The runner up is John Snow who received 18% of all mentions, followed by Tyrion Lannister at 15%. Just as in Game of Thrones itself, the journey to the iron throne is not simple and straightforward according to Twitter users. As you can see below, the winning character changed overtime as fans developed new theories and ideas about the outcome of the show. As you can see, both Daenerys and John Snow had huge spikes in mentions, with Arya Stark and the Night King trailing not too far behind. 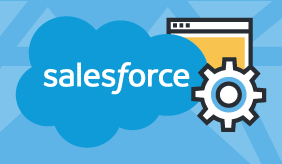 Discovering trends and patterns in data is one of the key benefits of log analytics. 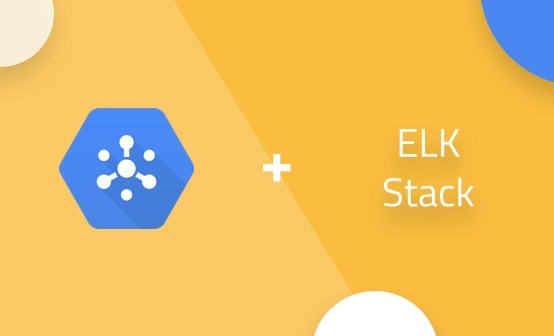 Tools such as Kibana effectively visualize data so you can easily spot trends and make predictions. While most commonly used for IT use-cases, this idea can be applied to any data set. So to celebrate the last season of Game of Thrones, we thought measuring GoT characters’ popularity and destiny to win the iron throne would be a fun use-case to explore. We hope we didn’t spoil too much of the show and you enjoy the final season of GoT–it is sure to be an exciting one! 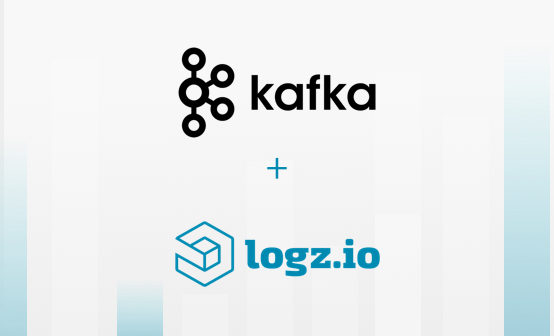 Monitor, troubleshoot, and secure your environment with one unified platform using Logz.io.